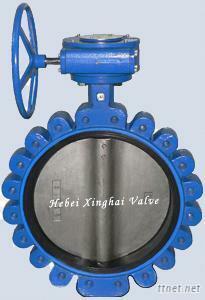 Hebei Xinghai Valve Co., Ltd. The LT type butterfly valve are wafer type. It have threaded holes, This is different with A type wafer type. 1. The numerator of 1 item is 1.0Mpa, the denominator is 1.6Mpa. 2. The dimensions may be changed into lengthened bar butterfly vavle according to the user's demand.